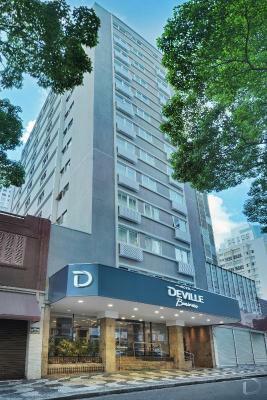 Lock in a great price for Hotel Deville Business Curitiba – rated 9 by recent guests! Excellent location and service. Very best option for business travel. The staff was incredbly friendly and supportive. Execellent breakfast and location. I will go back to this hotel in my next travelling. Ficamos satisfeitos com todos os serviços que utilizamos do hotel. Boa localização. Banheiro e quarto bons. Há uma Lojas Americanas ao lado o que facilita para comprar água e petiscos para comer no quarto. O preço dos produtos do frigobar é salgado. 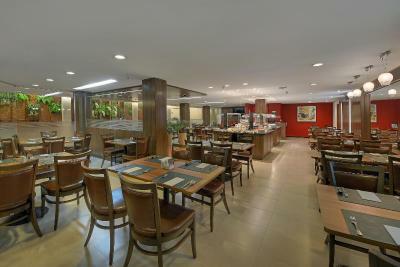 Excelente quarto, excelente localização, staff muito atenciosa, café da manhã muito bom, hotel muito limpo. A Localização e limpeza do apartamento eram ótimas, o café da manhã é razoável. 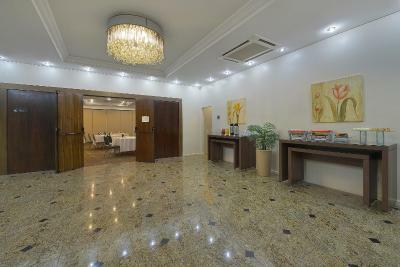 Hotel Deville Business Curitiba This rating is a reflection of how the property compares to the industry standard when it comes to price, facilities and services available. It's based on a self-evaluation by the property. Use this rating to help choose your stay! One of our top picks in Curitiba.Located in the city center of Curitiba, right next to 24 Horas Street, Hotel Deville Business Curitiba provides guests with room service. All rooms are air conditioned and come with cable TV. Free WiFi is available. Hotel Deville Business Curitiba offers rooms with air conditioning, a TV, cable channels, safety deposit box, hairdryer, a work desk and a mini-bar. All rooms and the entire hotel is 100% nonsmoking. 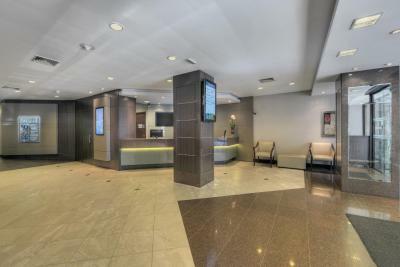 Guests of Hotel Deville Business Curitiba can ask about city trips at the front desk. 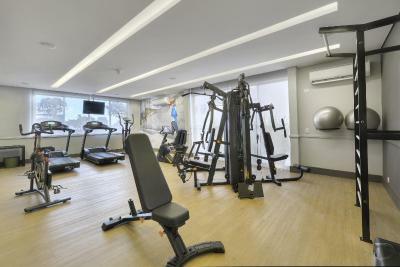 Atop the hotel’s 24 Horas Tower, guests can enjoy the view of the city from the modern and fully-equipped fitness center. 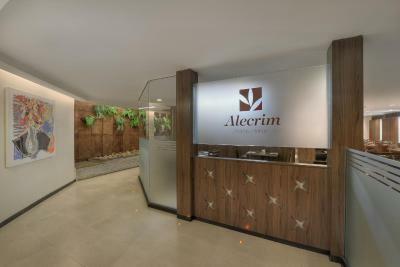 Alecrim Restaurant serves national and international cuisine. 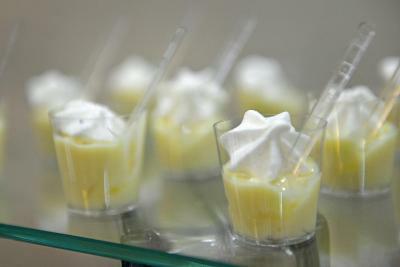 For lunch and dinner, the restaurant offers an a la carte menu or buffet dishes. 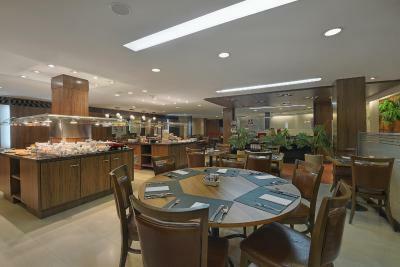 Hotel Deville Business Curitiba is a 10-minute drive from Museu Oscar Niemeyer. Private parking for compact cars is available onsite. 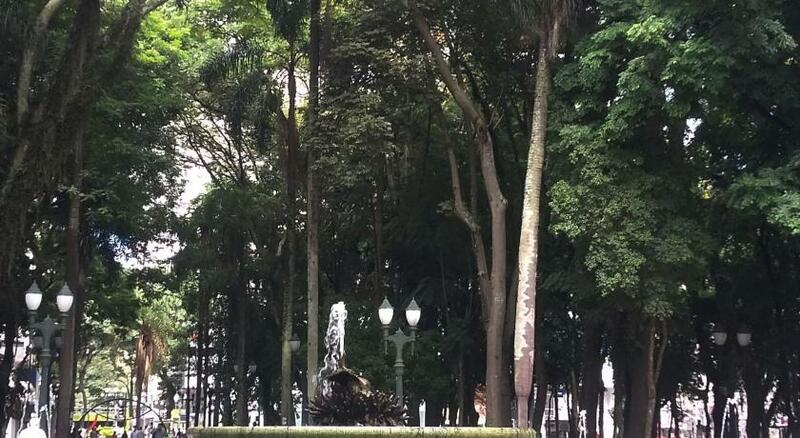 This is our guests' favorite part of Curitiba, according to independent reviews. 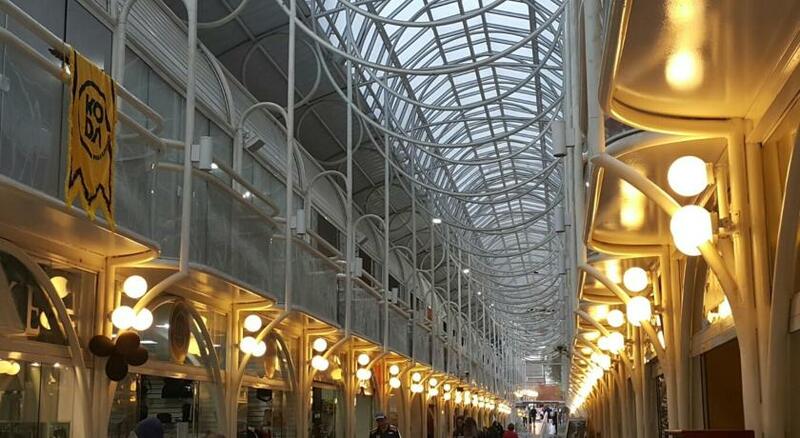 This property is also rated for the best value in Curitiba! Guests are getting more for their money when compared to other properties in this city. 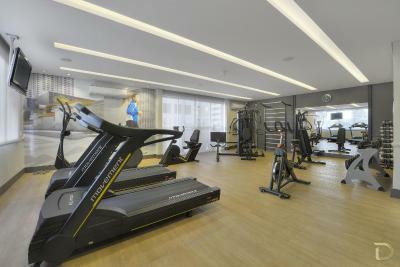 When would you like to stay at Hotel Deville Business Curitiba? The room features a TV with national and international channels, a telephone, internet access, a minibar and a work desk. Private parking is available on site (reservation is not needed) and costs BRL 27.50 per day. 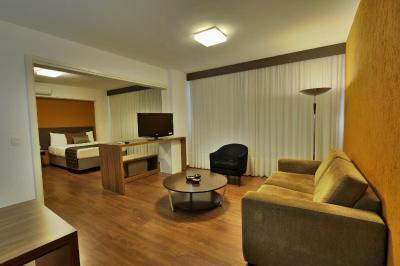 The room features a TV with national and international channels, a telephone, internet access, a minibar and a work desk. It also includes a small living room. The room features a TV with national and international channels, a telephone, internet access, a minibar and a work desk. The suite has a dining room, living room and a hot tub. House Rules Hotel Deville Business Curitiba takes special requests – add in the next step! 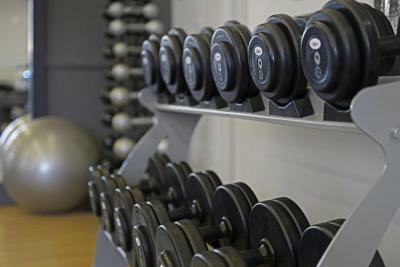 When booking more than 15 rooms, different policies and additional supplements may apply. Hotel Deville Business Curitiba accepts these cards and reserves the right to temporarily hold an amount prior to arrival. Please note that 10MB internet is free. Faster internet connection is available at a charge. Room service works from 06:00 to 00:00. Please note that valet parking is available. Please note that motorcycles can not be accommodate at the parking lot. In the case of a minor accompanied by only one of the parents, it is necessary to present a notarized authorization signed by the absent parent, along with a notarized copy of that parent´s ID. Parking is only provided for regular-size automobiles. Please contact hotel for information on big vehicles and motorcycles. Hotel accepts 1 small pet (10kg maximum) per apartment. R $ 65,00 per day. Required updated vaccination card. Please contact the hotel for more information. Do ambiente do hotel e do café da manhã. Todo excelente, check in y check out rapido. Because Brazilian plug in is different, I would suggest all rooms have adaptors.